Hey guys. We’ve been running like a well oiled machine over the past few weeks. The fishing has been incredible this spring. 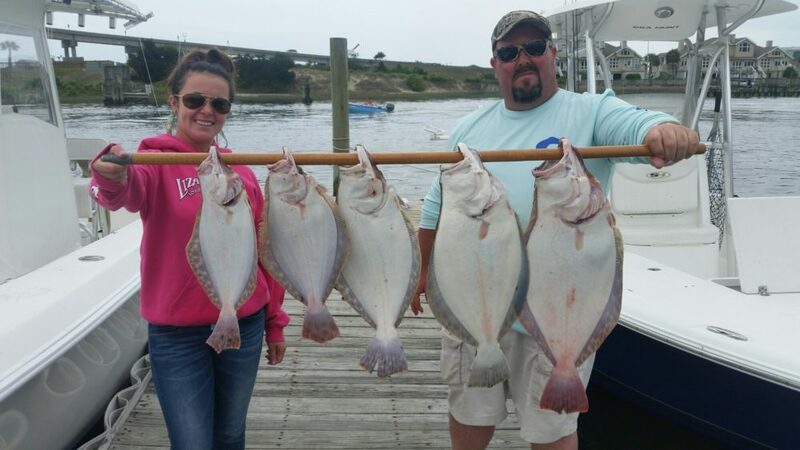 We’re catching limits of flounder most days, limits of King Mackerel, Limits of Mahi. The bottom fishing has been really good. We’re catching big ol grouper, cobia, jacks, snapper and Huge Sharks. Check out theses pics from recent trips and follow us on Instagram and Facebook for up to date reports. 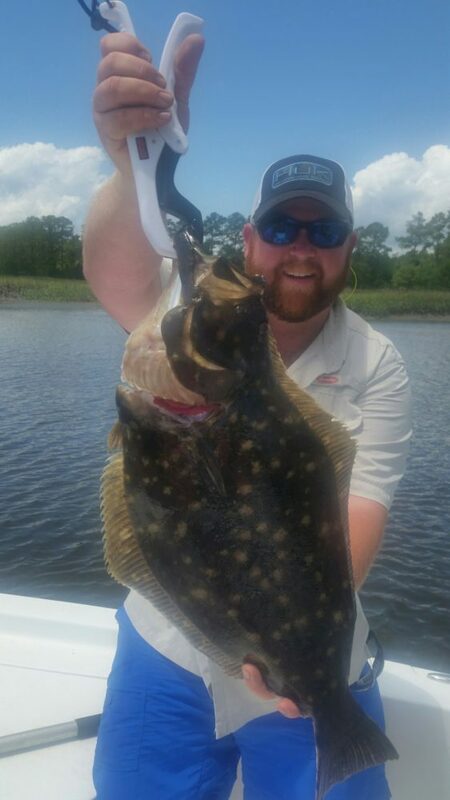 4-4-2016 Inshore and Offshore Fishing has been EXTREMELY GOOD! ! ! 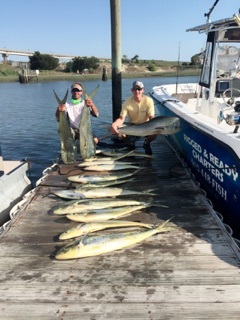 The Mahi Mahi are Chewing the props off the boat. 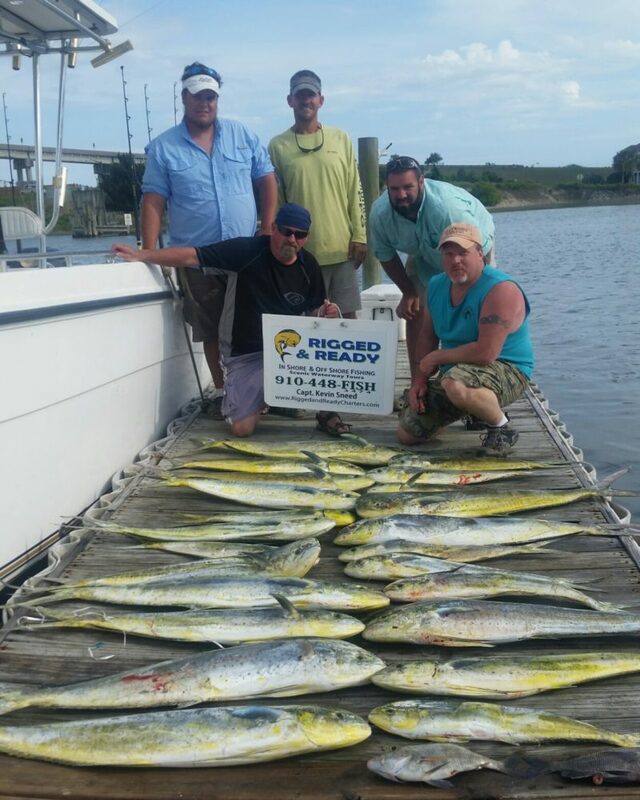 On the last trip we landed our Vessel limit of 60 Mahi, 1 blackfin tuna and 1 wahoo. Incredible action this time of year in the Gulfstream. Don’t miss your chance. I’ve been running alot of nearshore and backwater trips over the past 3 weeks. 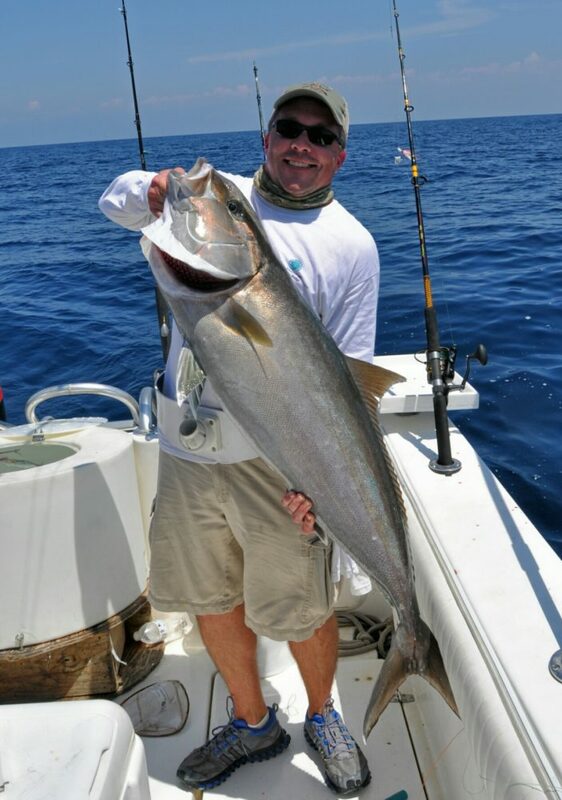 The Spanish Mackerel have showed up thick on the beach and Capt Toby Fulford guided his clients yesterday to a 40lb Cobia. Big Cobia and King Mackerel on the Beach right now. 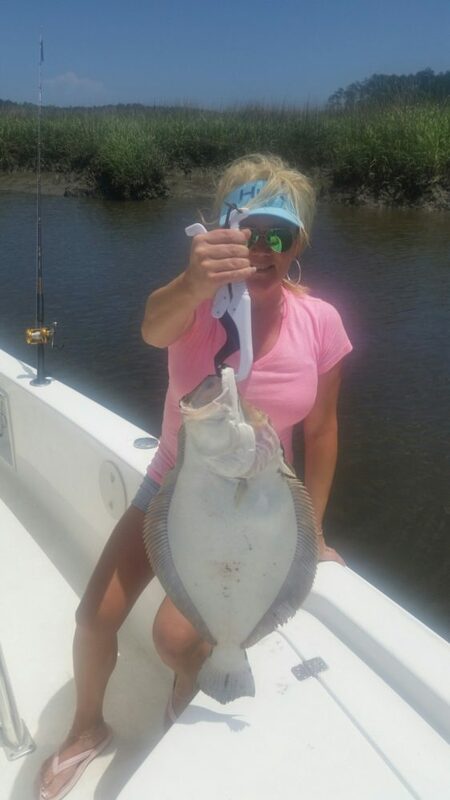 On the Backwater trips we are landing some very nice quality Flounder. We have had several days catching over 20 fish in just a half day. Alot of them are on the small size but some really nice ones are mixed in with them. As an Old Timer told me once. PICTURES ARE WORTH A THOUSAND WORDS.